The very best thing about Matilda Jane has got to be all of YOU. Our MJC gals not only bring our whimsical designs to life, you inspire us each and every day. 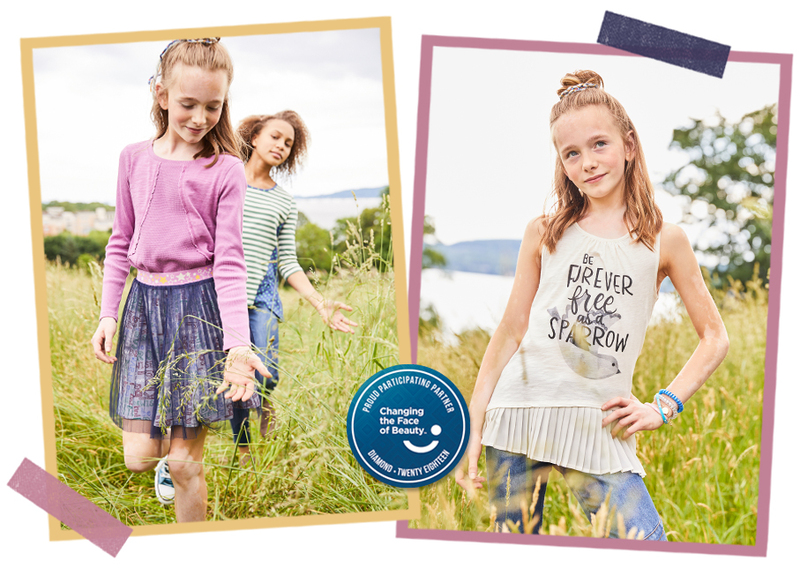 Your smiles, your spirits, your twirls – it’s not only muse-worthy; it’s magical. The magic of the MJC gal is absolutely what we hope to capture each and every photoshoot we do. We get asked – a lot! – how we pick our models. The truth is, it’s never quite the same. While we work with a number of agencies we love, it’s also important for us to find models who represent the diverse beauty in all of you. We have been a longtime partner with Changing the Face of Beauty, and we’re always looking for girls who are spirited and confident and true to themselves. That’s how we define the MJC gal! Ava graced a number of our most favorite shots from our August and September photoshoots. 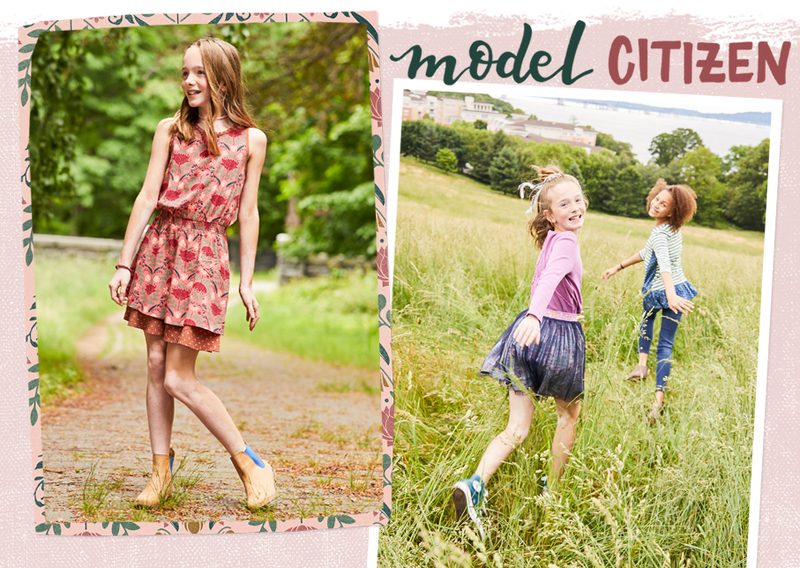 She modeled our 435 by Matilda Jane tween collection just perfectly, and has caught the attention of almost everyone who has seen her pictures. One person in particular was our very own VP of Design Madeline, who was diagnosed with vitiligo when she was 9 years old. Ava didn’t just make an impact on Matilda Jane – but in her community as well. Check out this blog article she did with Living Dappled. And she’s not done yet. Just after shooting with us, Ava was signed with a Toronto model agency! What’s Ava looking forward to most with her blossoming model career? Impacting others, of course. We do too, Ava. You are an amazing girl for sure!! When/how often do you do model casting calls? I believe my daughter would be a perfect fit for an MJ baby. I also noticed the little girl with Down Syndrome in your banner pics. Would you be interested in an older girl with Down Syndrome?? I admire your openness to all of these capable girls! I look forward to hearing from someone!